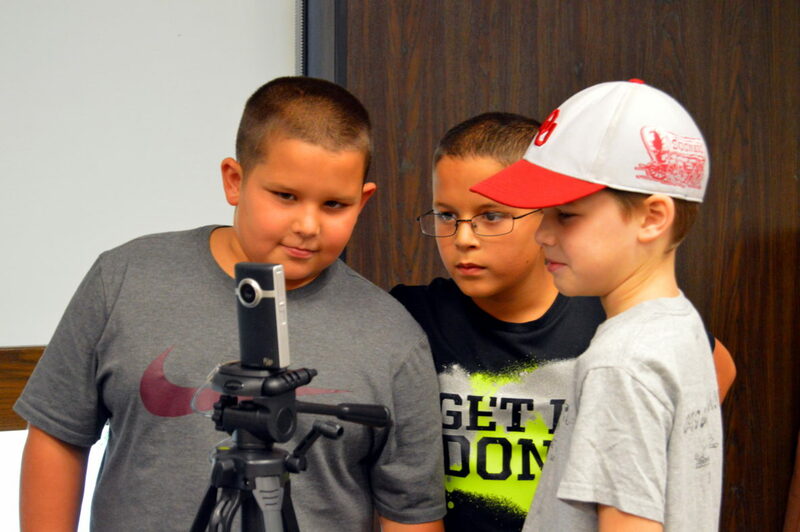 One of the main goals of the Learn-Create-Share program is to de-mystify technology for youth. Specifically when coding is mentioned to youth we are trying to keep them from automatically envisioning an academic laboring away in a cubicle somewhere. We strive to introduce the technology to the youth in a recreational way demonstrating that technology can be utilized by anyone to meet their needs. There was a 11-year-old female in our coding camp that enjoyed athletics and singing. As she became more familiar with coding she began exploring on her own and seeing what she could do to outside of what she was being introduced to. Toward the end of camp she created a maze game which involved a player navigating a simple maze. After creating the framework for the game the youth began creating story elements for the game including rescuing a princess from a witch. The more the youth became comfortable with the coding the more questions she asked about how to incorporate her various ideas into the game. Eventually she reached the point where she recorded her voice and others and added those elements to the game. There was a scene where the player encounters a princess trapped in a cage and the princess sings a short song (sung by the youth). The same youth also attended our digital film camp and was confident in exploring her athletic talents on film. During filming projects each group is given a story starter, like a pencil, pair of sunglasses, or something similar and told that their group has to come up with a plot for a short video incorporating the story starter they have been given. The female mentioned before was able to confidently explore her interests using technology. She created short videos where she taught others in her group how to play soccer and how to do various gymnastic stretches. Getting youth to relate technology to their daily lives is a win-win scenario and gets the youth to be more receptive toward using technology in their personal and academic pursuits. It always rewarding to see the youth come up with their own ideas without prompting from staff as well as work out how those ideas can become a part of their projects. That is the point that I strive to get to. That point where I have provided a basic introduction to coding, video editing, photography, or engineering and the youth takes their new found knowledge and uses it to create something original. The brief two week period that we spend with youth during each camp is not enough time to wholly measure the impact of what youth has learned. But we generally see youth throughout the following year during school sponsored academic competitions, coding club, and other events and are able to glean a little bit of the impact the summer tech program has had on their lives. The coding club held at the library was created due to interest by youth about pursuing continuing coding experience beyond coding camp. This year the library’s coding club has set their sights on entering a coding competition being held at the University of Tulsa next April (2019).